Touted as a potentially great weekend for Irish provincial rugby, Alan Quinlan will be joining Ger Gilroy and Eoin Sheahan in studio this morning to analyse where it all went so right. With Leinster and Ulster set to meet in an all-Irish Champions Cup quarter-final, Munster travelling to Scotland to take on Edinburgh and Connacht making their way into the last-eight of the Challenge Cup, it looks like Irish interest in European rugby has some way left to run this year. Kenny Cunningham will join the lads to talk all things football this morning. With Liverpool surviving a near-banana skin at the top of the Premier League, Manchester City ruthlessly brushing teams aside in second-place and Tottenham Hotspur affording Manchester United, Arsenal and Chelsea hope that a top-3 finish is still on the cards, there'll be plenty to talk about this morning. Mike Carlson will be talking NFL after the two sides competing in this year's Super Bowl became apparent over the weekend, while there will be plenty of talk over the GAA's decision not to trial the proposed hand-pass rule in the coming National League. Meanwhile, Darren Cleary will join the lads to run through the sports news shortly after 8:30am. 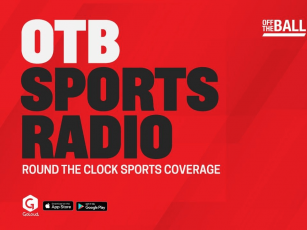 You'll find all that and more on this morning's #OTBAM, so be sure to tune in from 7:45am on Twitter, Facebook, YouTube or OfftheBall.com.